The height adjustable Keyboard Stand EX is designed for maximum stability and comfort while playing. 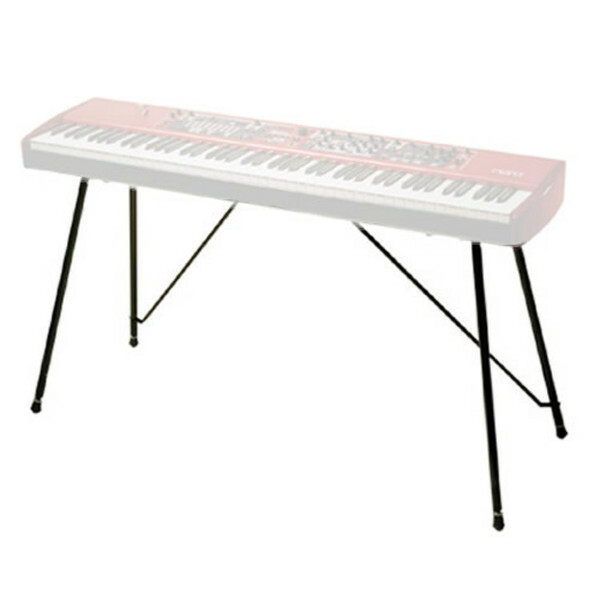 This stand works for a whole range of Nord keyboards. Please see below for a full list of compatible products. The legs are mounted into the bottom plate attached to you instrument, which stops it from moving around. The aluminum legs mean it's light weight and it features two different models of feet. One is comfortable for sitting down and playing, while the other is better for standing up (or using with an organ bench & pedal board). You can easily mount the stand without the use of any tools, and it can be fitted in the soft case for transport.